Andhra Bank Recruitment 2018 – 40 Part Time Sweepers Posts :- Andhra Bank has published latest notification for filling up 40 posts of Part Time Sweepers. Desirous & eligible candidates can apply in prescribed format on or before 05/02/2018. Educational Qualification: Pass in 8th class or its equivalent. Should not have passed 12th class or its equivalent. Last Date of Application : 05/02/2018. Application Procedure : Eligible candidates can send their application in prescribed format along with all relevant documents to concerned Zonal Office on or before 05/02/2018. Andhra Bank has published latest notification for filling up 05 posts of Sub Staff in various district of Odisha. Desirous & eligible candidates can apply in prescribed format on or before 31/07/2017. Educational Qualification: Pass in 10th class or its equivalent. Should not have passed Graduation or its equivalent or its equivalent. Last Date of Application : 31/07/2017. Application Procedure : Eligible candidates can send their application in prescribed format along with all relevant documents to concerned Zonal Office on or before 31/07/2017. 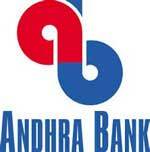 Andhra Bank has published latest notification for filling up 09 posts of Part Time Sweepers. Desirous & eligible candidates can apply in prescribed format on or before 13/07/2017. Last Date of Application : 13/07/2017. Application Procedure : Eligible candidates can send their application in prescribed format along with all relevant documents to concerned Zonal Office on or before 13/07/2017. Subscribe our free job alert mail for Andhra Bank Recruitment 2018.